Madeline Moriarity and Paul Bourbonnais celebrated their love on September 9, 1972. Their daughter Kathy was born April 11, 1975 with Greg joining their family exactly two years later. In 1981 Madeline’s father Leonard rented a plot of farm land just outside of Metcalfe, ON. His passion for agriculture saw him open a hobby farm. There he raised purebred Percherons, donkeys – a LOT of donkeys – and other small animals. 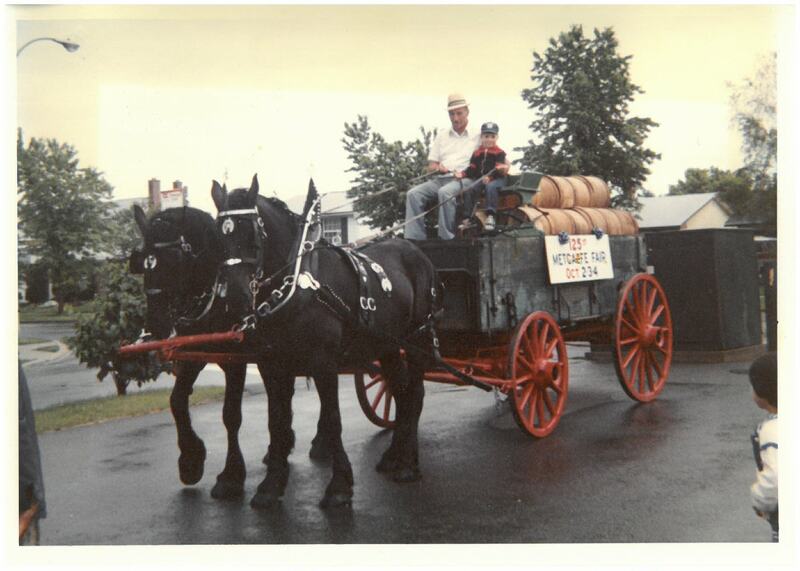 It was during these years that Len instilled his love for animals, specifically Percherons, to Greg. He taught him everything there was to know about draft horses – from caring to showing. Paul and Madeline purchased their own farm in 1988. 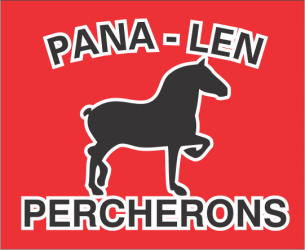 As a tribute to her father while recognizing the farm’s location on Pana Road, Pana-Len Percherons was formed. Greg and Sarah met through their passion for draft horses. 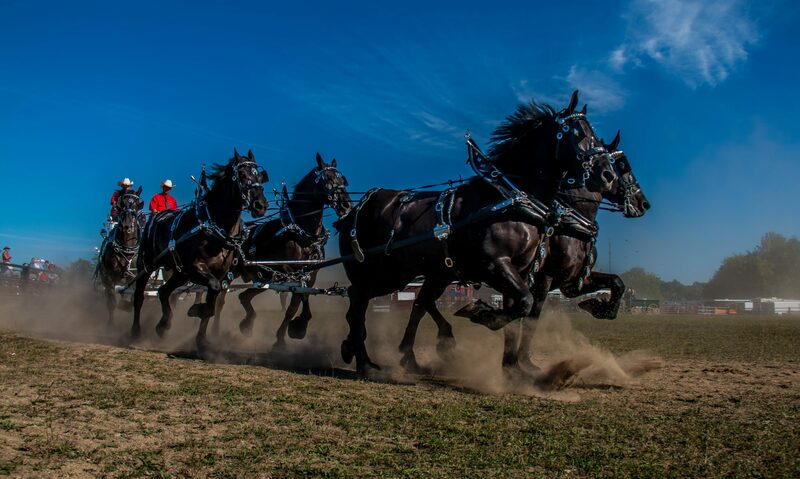 They work as a team to ensure the hitch of majestic one-tonne horses are pristine for the dozen or so shows they compete in annually. Together with Greg’s sons and Sarah’s bonus humans, Jacob and Bradley, they help manage Pana-Len Percherons. The special relationship that existed between Greg and his grandfather Len, is palpable through the bond that Paul shares with his grandsons. 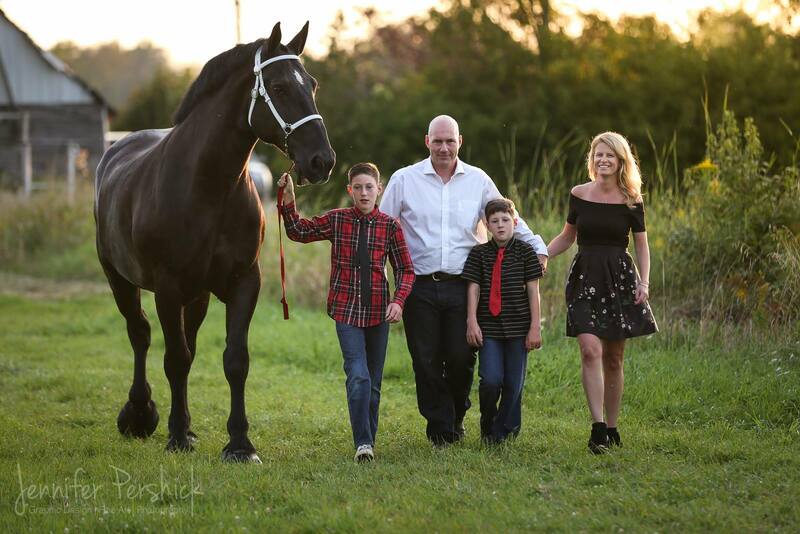 Showing horses for this family isn’t just a hobby – it’s a lifestyle. Pana-Len is a top-quality, family-owned Percheron gelding hitch. Located in Metcalfe, Ontario, Canada; showing competitively across North America.